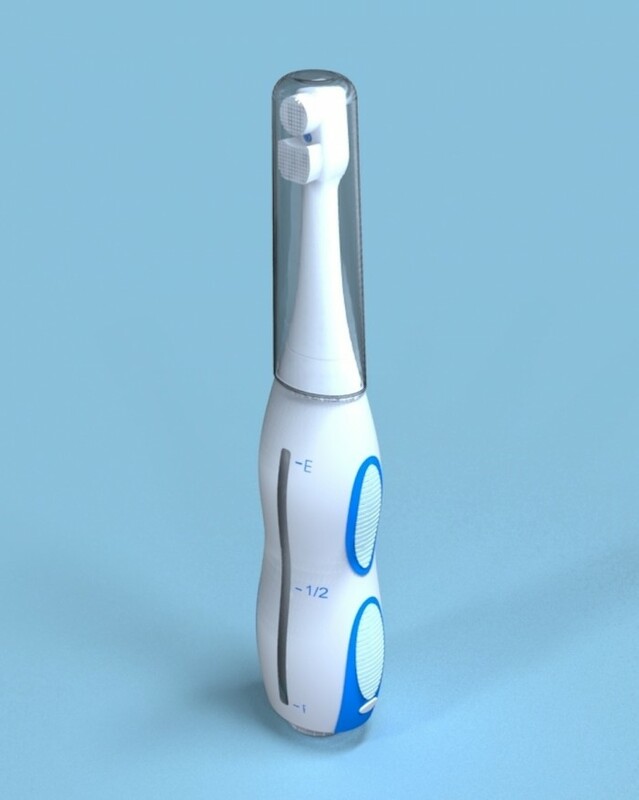 A refillable toothpaste dispensing toothbrush has a toothpaste containing capsule for dispensing toothpaste through the bristle head of the toothbrush. 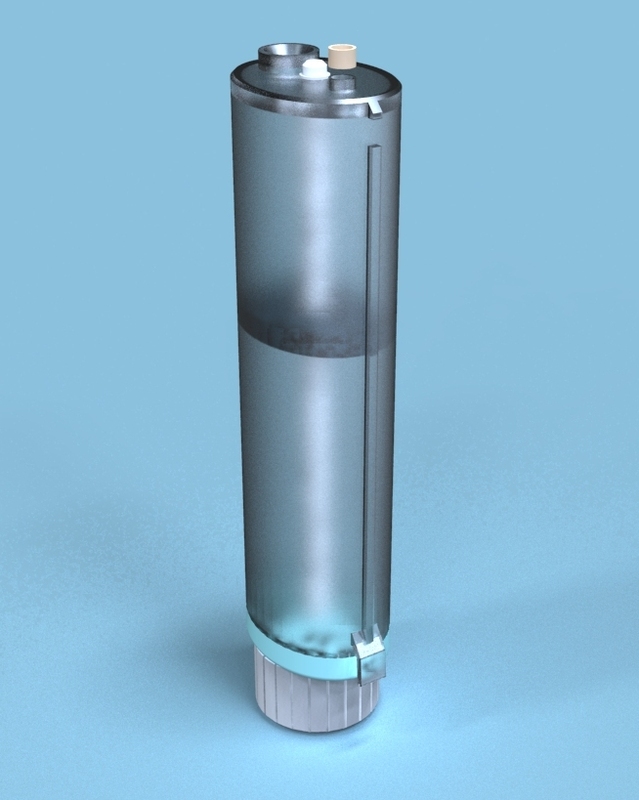 The toothpaste capsule can be filled using any standard toothpaste tube. 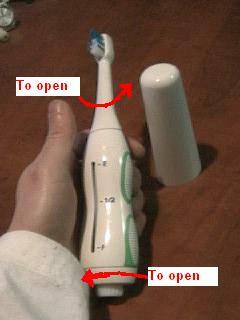 Grooves in the toothpaste passageway prevent clogging of toothpaste in the toothbrush. 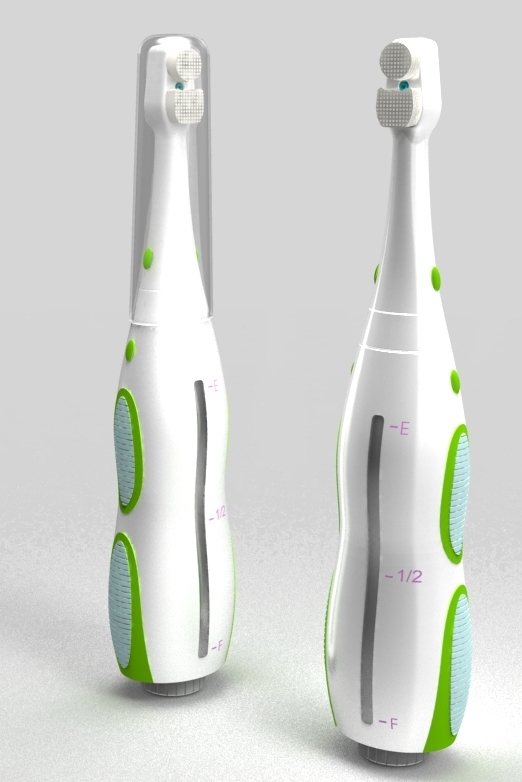 In an alternate embodiment, the dispensing toothbrush also contains a sonic vibrating device. We are now looking for a License agreement with royalties or a buy out. we have completed the prototypes. We have five in total ranging in shape: electric and manual. We have revived a lot of interest but the amount of money and time needed to get into....Wal-mart, etc. can not be provided by us. 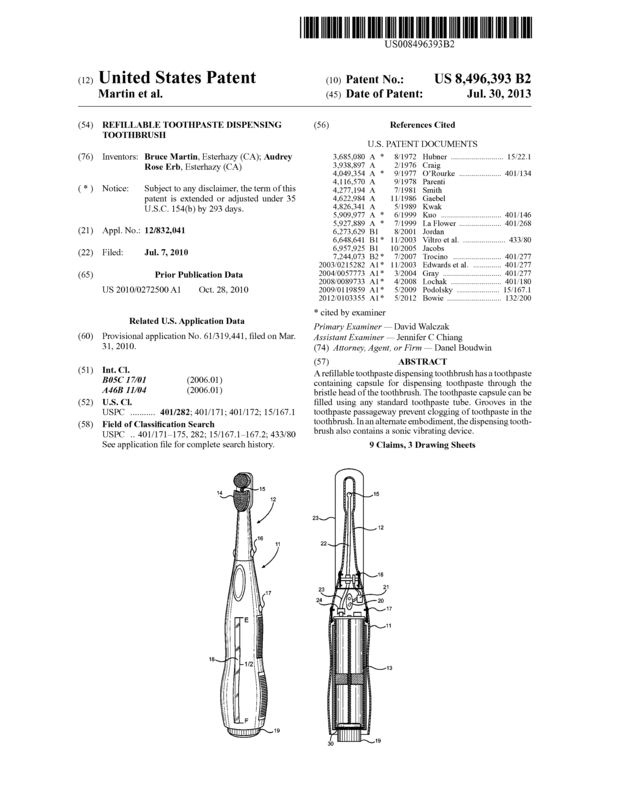 Page created at 2019-04-25 10:11:04, Patent Auction Time.